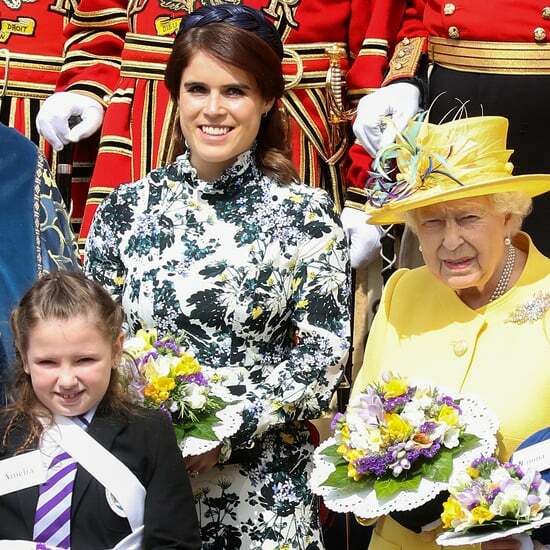 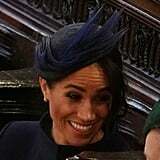 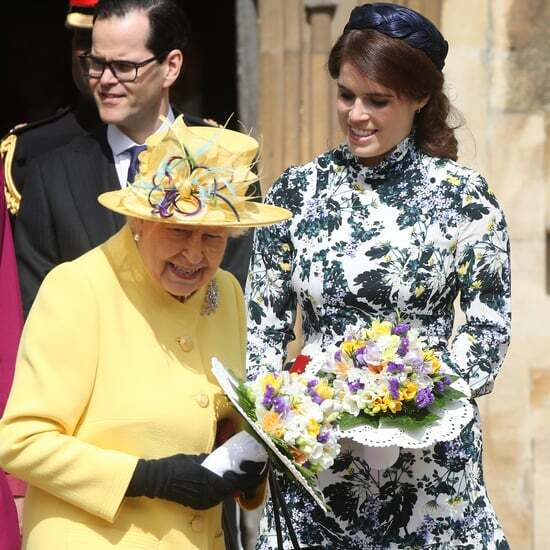 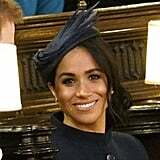 Is it not totally safe to say that Meghan Markle's Noel Stewart fascinator was the focal point of her entire look at Princess Eugenie's wedding? 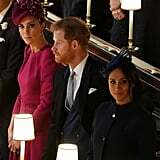 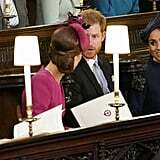 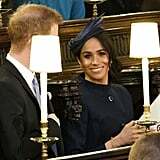 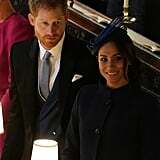 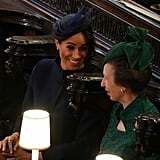 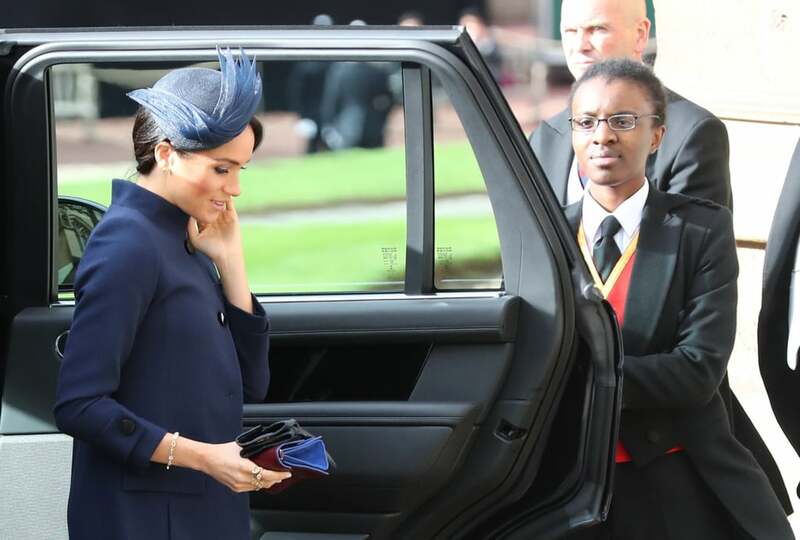 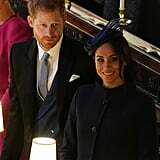 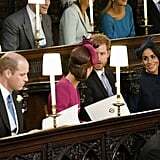 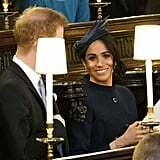 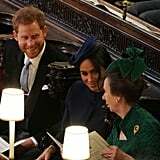 As soon as she exited the car to make her way into the ceremony, Meghan attracted just the right amount of attention to it by gracefully putting a hand up to her face or tidying her hair. 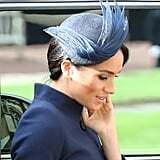 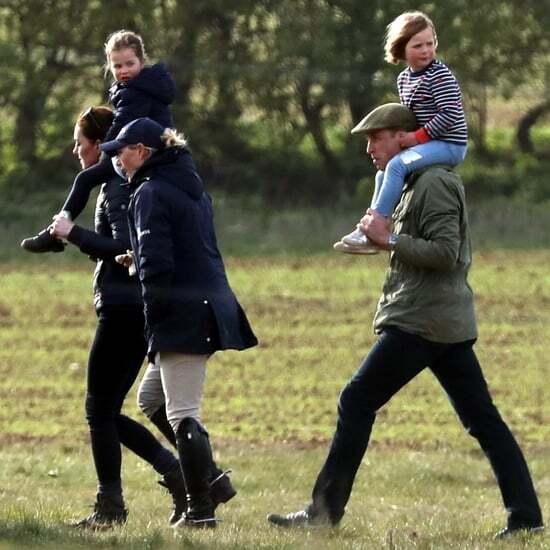 Don't get us wrong, her Givenchy ensemble was impeccably tailored and it did stun, but Meghan's hat, tilted ever so slightly and adorned with tulle that seemed to whisk across her forehead, like the feathers of a bird, might have been our favourite accessory at the wedding. 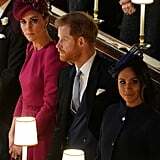 Scroll to zoom in on the magical piece and see how it coordinated in tone with Meghan's Manolo Blahnik pumps.